Ideal for providing basic smoke alarm cover to an individual at a great "all in" price. This system can be added to at any time from our SA3000 range of equipment. 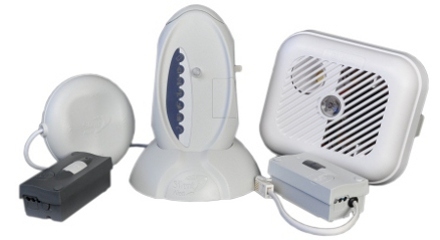 SA3000 pack 2 comprises a Pager, Alarm Clock Charger, Pillow Pad and Ionisation Smoke Alarm. 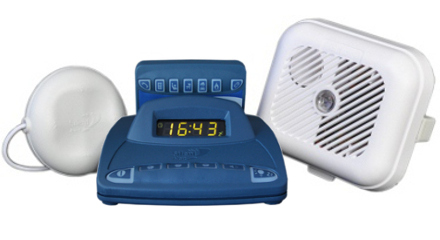 Ideal for providing basic smoke alarm cover to an individual with an Alarm clock to wake the user when required. This system can be added to at any time from our SA3000 range of equipment. 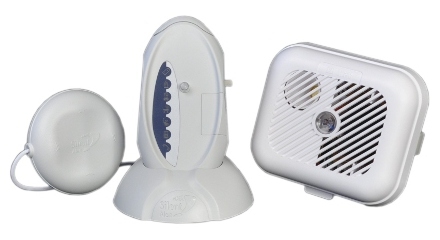 SA3000 pack 3 comprises a SignWave Portable sound and flash receiver, Pillow Pad and Ionisation Smoke Alarm. Ideal for providing basic smoke alarm cover to an individual who is hard of hearing. 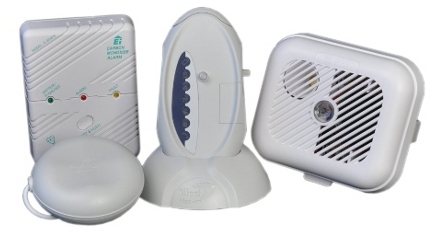 SA3000 pack 4 comprises a SignWave Portable sound and flash receiver, Pillow Pad, Carbon Monoxide Detector and Ionisation Smoke Alarm. Ideal for providing Smoke and Carbon Monoxide alarm cover to an individual who is hard of hearing. 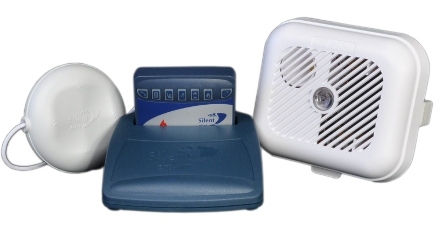 SA3000 pack 5 comprises a Pager, Trickle Charger, Pillow Pad, Mini Monitor, Telephone Monitor and Ionisation Smoke Alarm. Ideal for providing Doorbell, Telephone, and Smoke Alarm cover to an individual. 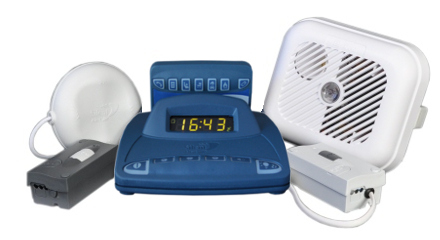 SA3000 pack 6 comprises a Pager, Alarm Clock Charger, Pillow Pad, Mini Monitor, Telephone Monitor and Ionisation Smoke Alarm. Ideal for providing Doorbell, Telephone, and Smoke Alarm cover to an individual with alarm clock cover. Ideal for providing portable Doorbell, Telephone, and Smoke Alarm cover to an individual. or TR3A-2206-IN Chargers (listed below). Alarm Clock Charger for PG3A units. Provides overnight and wake up cover for users. Trickle Charger for PG3A units. Mobile phone sensor, Nurse call & fall prevention*. The Mini Monitor with lead can connect to 3rd party devices that create a short circuit across a 3.5mm jack plug. Fully compatible with the Action on Hearing Loss B9250 mobile phone sensor, Jelly Bean twist & under carpet pressure pads. 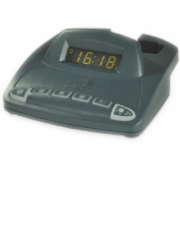 The Universal Monitor provides the user with the means to monitor a large variety of individual events via their Pager or Portable SignWave receiver. With the flexibility to use both audio and external wired connections to trigger the unit, either individually or in combination. Ideal for providing Baby Alarm cover as three programmable sound delays help to prevent false alarms. As above but the unit will activate automatically when a shock is detected. Powered by a 6V Lithium battery, the Key Fob when operated will send a signal to a Pager or SignWave Portable Receiver. The Key Fob will also indicate to the Receiver when a low battery is detected. 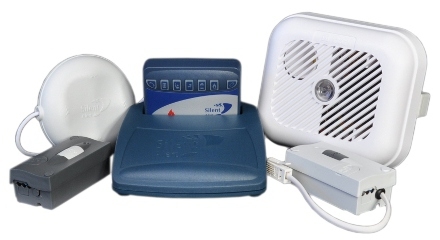 A single point smoke alarm with integral radio transmitter which suitable for all situations where Deaf and Hard of hearing people require early warning of an outbreak of fire, whilst providing a powerful audible alarm for those with good hearing. Optical smoke alarms are better suited for use downstairs. This compact mains powered wireless Movement Monitor is simple to fit and easy to install. Using an infrared sensor, the Monitor will send a signal to the Pager or Portable SignWave receiver whenever a person passes through the sensors field of view. The Monitor can also be located low down at a bedside to act as a bed leaving alarm where a pressure pad would not be appropriate. For additional monitoring the Movement Monitor also has an Audio sensor. *Requires Chair Leaving Pad to operate. Chair pad 33cm x 26cm with a 2 Meter lead. Please note: Our terms and conditions have been updated. Please fill out a VAT declaration to purchase silent alert equipment VAT free. If you have filled a VAT declaration please ensure cookies are enabled in your browser.